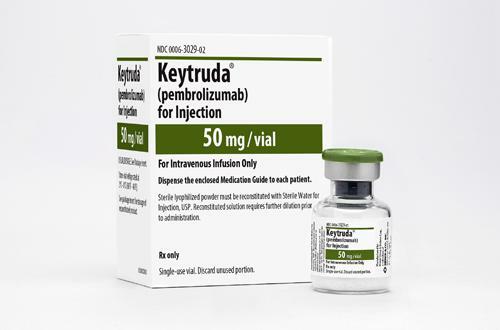 New data has been revealed on the efficacy of MSD’s Keytruda (pembrolizumab) in combination with Pfizer’s Inlyta (axitinib), showing it successfully reduced the risk of death by almost half in advanced renal carcinoma (RCC) patients compared to Pfizer’s chemotherapy drug Sutent. Specifically, the combo reduced the risk of death in RCC by 47%, while risk of disease progression or death was reduced by almost 40%. In addition, overall response rate was 20% higher than that shown by Sutent. In light of the results, MSD’s Chief Medical Officer Dr Roy Baynes called Keytruda the “most broad spectrum anti-cancer drug ever”. The drug has so far secured FDA approval in 15 cancers and 10 tumour types, chalking up sales of $7.2 billion last year. It was confirmed that full results of the study will be presented at the Genitourinary Cancers Symposium in San Francisco this week.